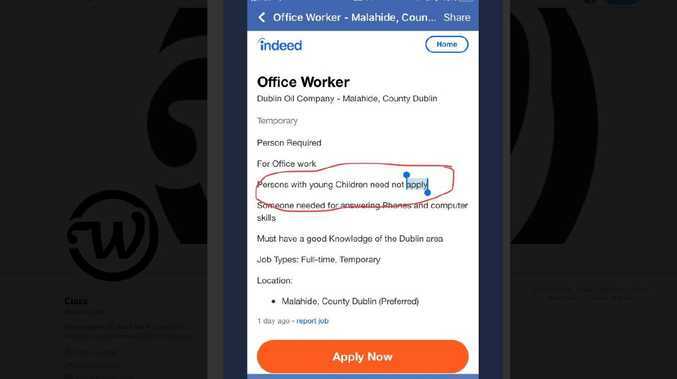 A JOB listing posted on Indeed.com has sparked outrage among working parents after brazenly stating people with kids would not be considered for the role. It declared the successful applicant for the temporary, full-time gig would be responsible for "answering phones" and "computer skills", and also needed to have "a good knowledge of the Dublin area". However, it also stated: "Persons with young children need not apply". It was posted on Twitter by user @WorkJuggle with the caption: "This just shared with us. Can you believe someone wrote this? And that @indeed posted it?" Soon, parents began expressing their disgust at the inflammatory ad, with many pointing out discrimination based on a person's family status was illegal in Ireland and in many countries around the world. Twitter user Colleen Hennessy wrote: "Absolutely can believe someone wrote it. I know this is the caveat for the half the jobs I have applied for but usually it is coded with 'must be available for long hours' or 'deadline driven environment' when I know the jobs don't really require either", while Lorraine Doxey asked: "On what level did they think this would be okay!? Speechless." The ad has since been removed form the site, with an Indeed spokeswoman telling The Sun Online the company took "illegally discriminatory job solicitations" seriously. 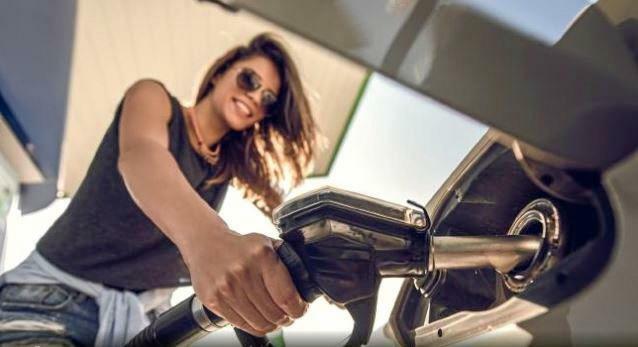 "Our 24/7 Search Quality team has developed a clear set of signals to automatically identify and remove poor quality sites or posts," the spokeswoman said. "The vast majority of companies whose jobs appear on Indeed provide quality job content for fair and verifiable opportunities. "We cannot give every reason why a job or a company may be removed, and we always retain the right to undertake such a removal if we feel it is in our interest or our users' interest. "We encourage jobseekers to report these types of advertisements to us and we will continue to strive to prevent illegally discriminatory job solicitations from appearing on our site." It echoes a similar case which occurred in the US late last month, involving a restaurant worker being sacked via text message after she told her employer she was pregnant and would need to take maternity leave.